You know how everyone wants to read Twitter and Facebook updates on their televisions, and possibly update their own feeds at the same time? Oh, you don’t? Well, someone should really tell Panasonic, because one of the biggest players in the television game have updated their internet TV offerings with just that ability. 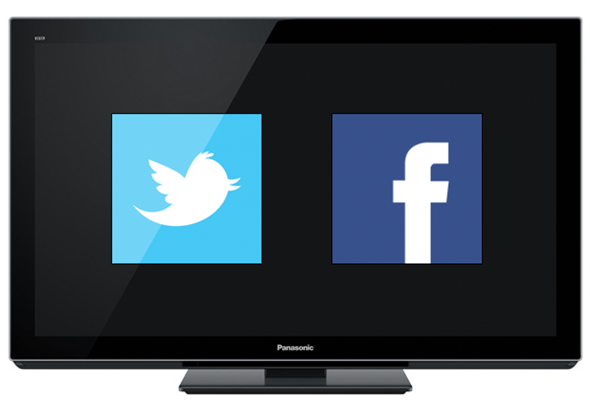 Adding to existing VIERA television functionality, Panasonic has now brought Social TV to the table, with Facebook and Twitter front and center so long as you own a VIERA Connect1-equipped 2011 VIERA HDTVs or subsequent model. Hey, what better reason to rush out and buy a new television than integrated social networking? As if the world’s biggest social networks on your TV wasn’t enough, you can also keep up to date without ever leaving whatever you were watching, thanks to a spot of on-TV multitasking. Panasonic prides itself on listening to consumer opinions and acting upon those suggestions to provide the best possible entertainment experience,” said Panasonic Corporation of North America Vice President, Merwan Mereby. 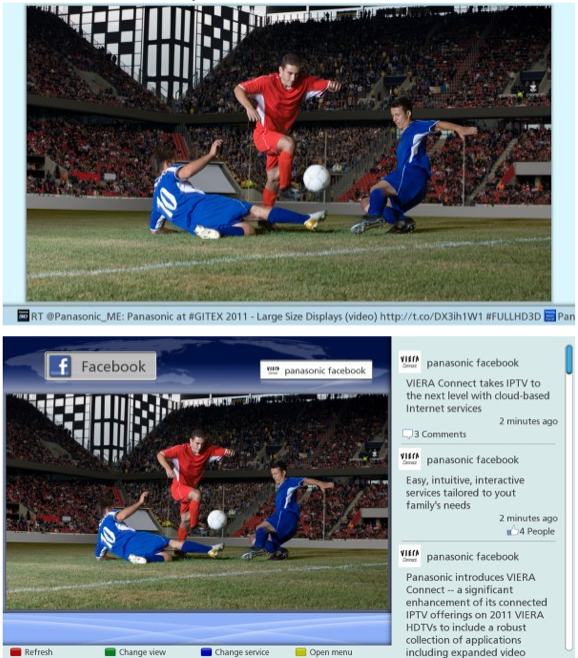 We must confess to being a little unsure just which customers told Panasonic they want this on their TVs. With Google trying a very similar thing with its admittedly lackluster Google TV box, or if you’re really keen, Sony branded screen with built-in Google TV hardware, it is clear that integrating everything into the television isn’t necessarily the best course of action when most users will probably have a smartphone or a tablet sat on their coffee table anyway. Panasonic has also added a gaming app with a Gameloft tie-in, meaning owners of the new VIERA sets will get access to three free games. Exciting stuff, we know. The latest apps join entertainment and information favorites such as Netflix, Amazon Instant Video™, huluPLUS, CinemaNow, Ustream, Skype™ voice and video calling3, Twitter, Facebook, Pandora®, You Tube™, Google’s Picasa™ Web Album, and WSJ (Wall Street Journal) Live; as well as sports sites including, MLS and Fox Sports; gaming sites, such as Asphalt 5 and Free Throw; health and wellness sites, such as Body Media® and Withings Body Mass Scale; and weather service from Accuweather. Accuweather? Why didn’t you say so, its there! In a time when the buying public is increasingly protective of its cash, technology companies are scrambling to find a unique selling point for their products that will set them apart from the competition. While internet-connected televisions is great in theory, we can’t help but think we’d prefer that companies like Panasonic would spend their time on something a little more interesting, such as making larger and thinner panels or, and this is a crazy thought, making 3D actually usable in the home.